Not a typical zipper pouch. 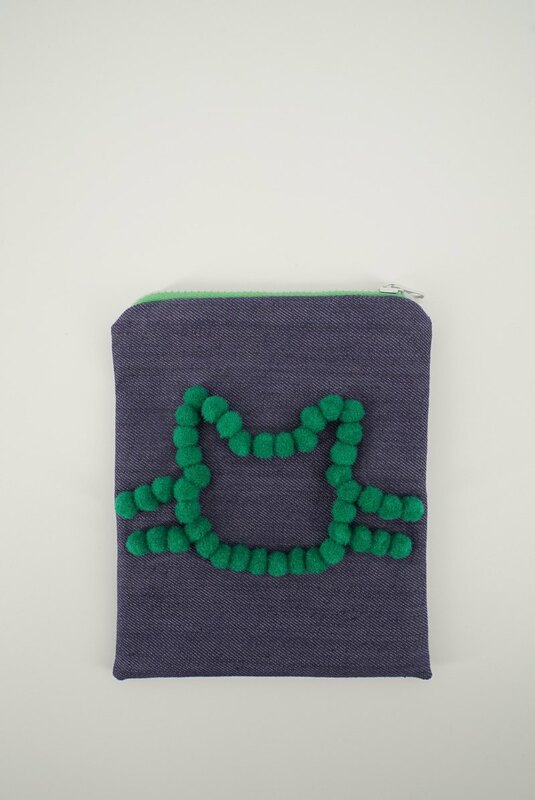 Adorned with 3D cat face that is formed using individually handstitched pom poms. Purrfect to keep cards and cash, and great in satisfying the need for cute pouches. Made using quality denim. 🐱 6 in. H by 5 in. W 🐱 White satin lining 🐱 Dual color zipper *Actual color may vary slightly. Handmade by a husband-wife pair in sunny Singapore.